AUSTRALIA is the most charitable nation on earth, a new study shows, with Greece being the meanest. The Charities Aid Foundation World Giving Index ranked Australia first followed by Ireland, Canada, New Zealand and the US. The pressure on the household budgets of Greeks was reflected in most of the 146 nations surveyed, with the aftershocks of the 2008 financial crisis reducing the amount of time and money people were willing to devote to charity. The survey showed 28 per cent of people gave money to charity last year compared with almost 30 per cent in 2007. ”In large parts of the world, household incomes are being squeezed, prices are rising and job insecurity is on the increase, with the result that many simply have less time and money to spare,” John Low, the chief executive of the group, said. In Greece, the share of people donating to charity fell to 5 per cent from 7 per cent in 2010. Still, 3 per cent of Greeks volunteered time to charitable causes, unchanged from a year earlier, and 30 per cent said they had helped a stranger compared with 28 per cent. About 165 million Indians, 143 million Americans and 126 Indonesians donated money, the survey showed. Women donated more money than men last year around the world, although men were more likely to volunteer time and help a stranger, the charity said. In an interview with Fairfax Media, Gates said Jobs was driven by the fact that “Microsoft machines outsold his machines by a lot”. But speaking in Sydney today, where he is on holiday with his family, Gates said he had made the transition to work full-time at his Bill & Melinda Gates Foundation “and that will be what I do the rest of my life”. Steve Ballmer, who has been Microsoft’s CEO since taking over from Gates in 2000, is widely considered to have missed the significance of what Jobs dubbed the “post-PC era” and Microsoft is now an also-ran in smartphones, tablets and music players. Jobs recently said Gates was “unimaginative” and hadn’t invented anything. Today, Gates said Jobs was “brilliant” and he enjoyed working with him on Mac software and also competing with him, but “because the Microsoft machines outsold his machines by a lot he was always kind of tough on Microsoft, but that’s fine, he was a brilliant person”. “Our work at Microsoft was super successful for all good reasons but Steve made huge contributions and he actually in his last few years was a lot kinder than that but over the years he did say some tough things,” Gates said today. Gates’ approach – to license his software to all computer makers – contrasted sharply with Jobs’s philosophy of controlling the entire user experience from top to tail. Gates’ method saw Windows dominate the PC industry but the Jobs philosophy is proving powerful in the smartphone and tablet era. 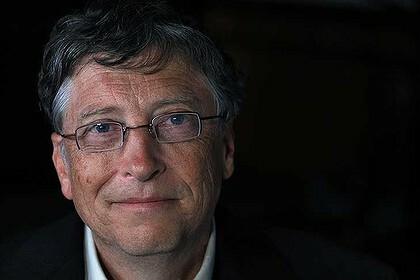 Gates has previously described Jobs as “fundamentally odd” and while recognising his mesmerising effect on people, described him as “weirdly flawed as a human being”. Jobs, who went on a journey of spiritual enlightenment in his younger years, said Gates would “be a broader guy if he had dropped acid once or gone off to an ashram when he was younger”. But Jobs’s harshest barbs came during an interview with his biographer, Walter Isaacson. “They just ripped us off completely, because Gates has no shame,” Jobs said in the biography, to which Gates replied “if he believes that, he really has entered into one of his own reality distortion fields”. “Australia is making good increases” but “The other rich countries on average are doing even more. She calls the white Maserati she drives the “little horse”, and her orange Lamborghini the “little bull”. Guo Meimei, 20 – who goes by the name “Guo Meimei Baby” – may be just another young woman flaunting her wealth through photographs posted on Weibo, the Chinese version of Twitter, but her link to the Red Cross of China has sparked a national debate around how donations to charities are used. The Red Cross of China is one of the country’s largest charities and has strong ties to the communist government. And evidence of Ms Guo’s extravagant lifestyle has made the Chinese suspicious in a country where the divide between rich and poor is growing and corruption is rife. 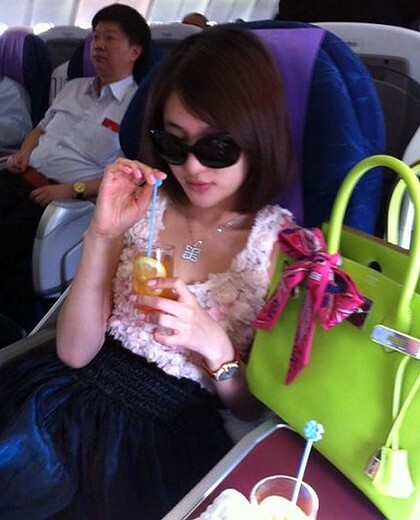 In her microblog, Ms Guo, whose name “Mei” means “pretty”, has posted photos of herself with the sports cars, a pile of luxury Hermes handbags, sipping drinks in business class on a flight and showing off her luxury villa. She identified herself as “commercial general manager” at the Red Cross, a position verified by Sina – the company that runs Weibo. 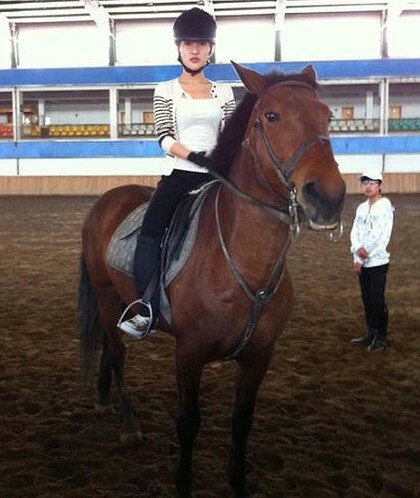 Suspicious Chinese netizens are asking how a young woman such as Ms Guo came into such wealth. Did she or her boyfriend embezzle money from the Red Cross to line their own pockets? Their suspicions were fuelled by a photo that surfaced on the internet in April, which revealed the Shanghai branch of the Red Cross spent 9859 yuan ($1420) on a meal. China’s state auditor also announced in recent weeks that it found five discrepancies in its review of the Red Cross’s 2010 budget, prompting a denial of corrupt practices from the organisation, which has often been in the forefront of official fund-raising drives following natural disasters. Ms Guo later backtracked on her Red Cross job title as China’s online activists swung into action and dug up information about her past and her relationships. But the damage had been done and rumours about Ms Guo and the Red Cross continued to grow. When she tried to leave the country – purportedly to Australia – to get away from the spotlight, the Australian embassy in Beijing was inundated with calls and emails from people expressing fears that she was going to run away with “their donation money”, the Shanghai Daily reported. The netizens had alleged Ms Guo was the girlfriend or mistress of a senior official, 42-year-old Wang Jun, who organised charity campaigns for the Red Cross. On Weibo alone, more than 600,000 posts a day were written about Ms Guo, London’s Daily Telegraph reported. It claims more than 140 million users. Mr Wang was forced to resign from his job as a result of the furore, while the Red Cross vehemently denied any links to Ms Guo. Ms Guo played down her links with the mega-charity in a special report into the controversy on national broadcaster CCTV. “The wording ‘Red Cross Society’ is too sensitive,” Malaysia’s The Star newspaper reported her as saying. The English-language China Daily – another state-run paper – weighed in on the debate. “The RCSC [Red Cross Society of China], as a non-profit charity organisation, has the obligation to keep all its activities transparent and let the public know how it manages its donations and where it has spent them. The People’s Daily – the mouthpiece of China’s Communist Party – also acknowledged the growing influence of social networking tools on Chinese society and politics in an article titled: How microblogging power shakes reality in China. “Microblogging was introduced in China in 2009 and has quickly developed into a major channel of public opinions within less than three years. Many hot incidents were first exposed through microblog posts. English-language social media sites Facebook and Twitter – which attract millions of users worldwide and through which aspects of the Arab Spring revolutions in the Middle East and North Africa were organised – are banned in China. Yet local sites Tencent (China’s largest internet service portal), Weibo, Baidu (a search engine) and Renren (sometimes dubbed the Chinese Facebook) have grown in popularity in recent years, and are among the world’s most visited online networking sites. The ultimate victim of the widespread outrage may be China’s philanthropy drive. Last year, Chinese citizens donated 70 billion yuan ($10 billion) to charities compared with 54 billion yuan in 2009, Agence France-Presse reported, quoted the official Xinhua news agency. The country is still new to philanthropy and the China Development Brief, a prominent publication, said local charities’ “lack of transparency and mechanisms to track donations” remained major stumbling blocks, AFP said. The China Daily said as a result of the uproar over Ms Guo, 90 per cent of people who took part in an online poll the newspaper conducted indicated they would not donate to the Red Cross of China any more. The Financial Times noted: “There is also a deeper problem in the lack of trust in a society whose wealthiest members often get rich through government connections.